Shortly before winter vacation, an IBM colleague contacted me to learn more about how extensibility – particularly web UI extensibility – works in the IBM Rational Jazz Platform on which I work. After typing up my response I thought it might be interesting to a broader audience so I’ve reposted it here (with some minor tweaks for clarity). Note that some but not all of the links below require Jazz.net registration (sorry). You are correct that as of Jazz Foundation 1.0.x (shipped this year), one contributes “viewlets” (a Jazz-specific widget mechanism comparable to OpenSocial Gadgets and iWidgets) to Jazz Dashboards via a server-side Eclipse extension point. However, the Jazz extensibility story is more complex than OSGi bundles and Eclipse extension points. I will explain this below, with the assumption that you are interested. When we first started the Jazz server work in 2005 we made a design decision that the Jazz server would be based on Java/OSGi and you contribute capabilities to the server by adding additional OSGi bundles. 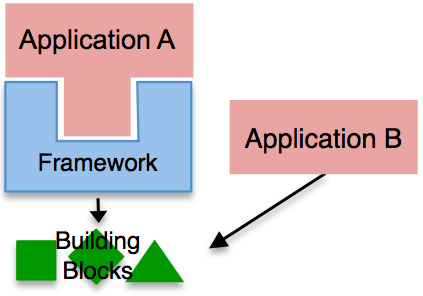 I’m guessing you’re very familiar with this architecture; it’s of course very similar to the Eclipse workbench except instead of contributing actions and views (e.g. to implement a Java IDE) you contributed web services and data definitions (e.g. to implement a bug tracking system). We went so far as to enable this style of programming for Dojo-based Ajax code so that developers could add “web bundles” and have the Jazz Web UI framework discover and surface their web capabilities in the Jazz Web UI. The Dashboard viewlets are one example of an extension-point-based extension. There are other extensions also enabled by extension-points (as in Eclipse, this extensibility model is open-ended). We came to the conclusion that the RPC style service APIs were too fragile over time and would make it difficult to allow for independent upgrades of different tools in an environment containing many tools. This caused us to take a step back and ultimately decided to use the REST architectural style to achieve integration across tools. For instance this year we enabled several integrations between our Requirements Composer, Team Concert, and Quality Manager products using RESTful protocols and APIs. For an example of these integrations, see this video on Jazz.net that demonstrates how we use REST and Discovery to drive linking and “picker” integration between two tools. The interesting thing about this is that Tool A and Tool B could be implemented in wildly different ways… e.g. OSGi/Java vs. PHP. * As an aside, we are currently working to deprecate Jazz Viewlets and adding the ability to host iWidgets and OpenSocial gadgets in Jazz Dashboards. This is in plan for 2010. ‘window’ of course is the global object in which your code is running. 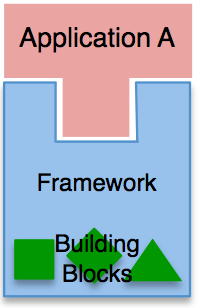 If you’re running in a frame, your window object is actually a child in a window hierarchy. ‘top’ refers the to the top-most window in the hierarchy. Therefore if window and top are the same, then you are in a top level page; conversely if they are different, then you are in a frame (or iframe). There’s a small possibility that you could have the a frame with the same URL as the outer page. This is very unlikely because there’s no scenario I know of where you want to nest a page, but it’s still a latent bug. You have to deal with the exception in the cross domain case. Not a big deal but unclean. I’m curious if anyone has a better solution for detecting whether or not you’re in an IFrame. Closures don’t cause memory leaks. Browsers that have garbage collection bugs (IE6) and continue to retain those bugs in new versions (IE7) cause memory leaks. Closures are an extremely powerful and useful programming technique. It’s unfortunate that you would recommend against their use simply because your browser has a bug that causes a memory leak. A huge amount of time has been spent by the js community to detect, resolve, and work around these IE memory leaks. It’s too bad this was required, and will continue to be required as long as MS refuses to fix the problem. Hopefully IE’s market share will continue to drop and we can begin to ignore these memory leaks because every other browser out there handles closures just fine. Closures (functions that refer to free variables in their lexical context) are both extremely powerful and extremely dangerous. There are certain programming techniques that demand their use and once you learn how to use them they can quickly become one of the most overused features of the JScript language. Currently the misuse of closures in connection with the IE DOM and various COM components are the number one cause of heightened memory usage within IE. While this is all true, it’s frustrating to read since he advises to avoid idioms that are not necessarily incorrect or misguided from a language perspective, but rather they’re problematic in the context of IE’s rusty engine. It’s like calling to report a busted-up highway and being sent a map of the backroads. So while these posts on care and feeding of IE provide useful information, I’d also like to see frequent transparent communication on what Microsoft are doing to address the most fundamental problems that their browser presents to web developers. Once again I must stress that I applaud Peter for writing these articles, but Microsoft also needs to communicate (in detail) about how they’re addressing root causes.